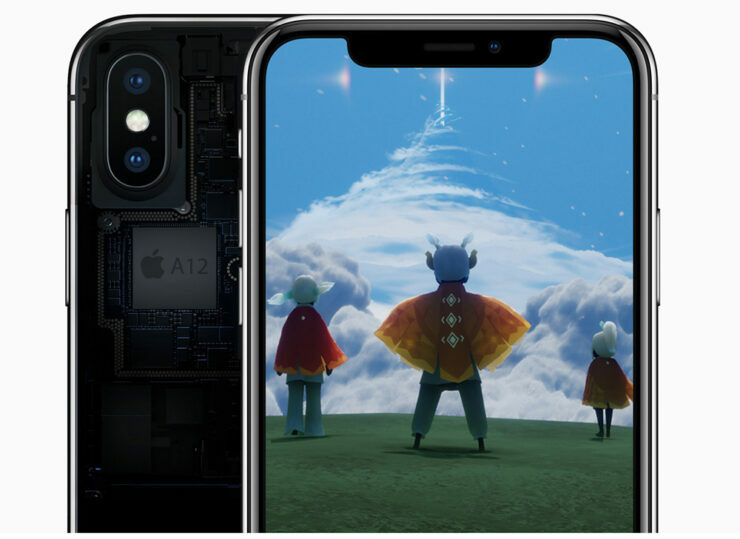 More Apple A12 benchmarks have emerged and it was pretty obvious that the upcoming chipset would be able to steamroll the competition thanks to the tech giant’s expertise in hardware designing and execution. Unfortunately, the following scores that you are going to read are much lower than what we anticipated from a powerful SoC made on TSMC’s 7nm architecture. Fortunately, it is more than possible that the original scores of the A12 will end up being much higher when Apple has officially launched its iPhone family for 2018. 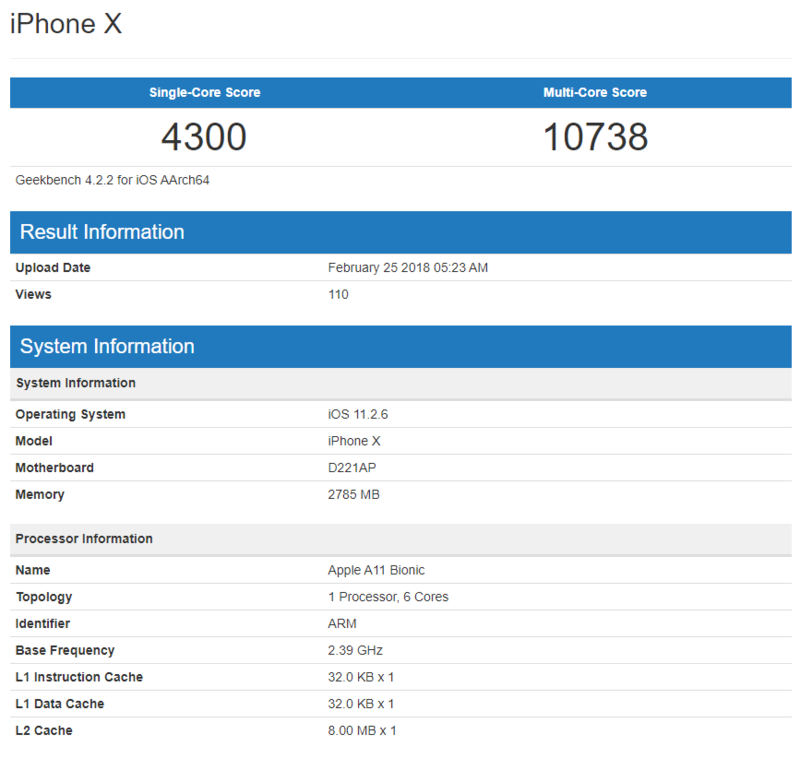 Ice Universe has shared what appears to be the Geekbench scores of the upcoming Apple A12 chipset. Unfortunately, the results that you can see via Geekbench are not at all encouraging and we’ll tell you why. If you take a look at the iPhone X benchmarking image given below, the 5.8-inch flagship is able to score more than the results Ice Universe has shared with us. Furthermore, the leakster earlier shared the first batch of benchmarking scores allegedly obtained by the upcoming A12 chipset. The individual claimed that the 7nm SoC scored 5,200 points in single-core and 13,000 points in the multi-core results, and if you can see in the images, there is a significant difference in those scores from the latest benchmark. However, we will reiterate that these scores are not final and will be subject to change in the future, but at least we know that at least one iPhone will feature 4GB of RAM, making it the first time that Apple will be using the aforementioned amount in a smartphone. It is possible that a mini-testing run was initiated to see how a prototype device would end up performing. High-end phone manufacturers carry out significant performance test runs on mobile phones to maximize performance and efficiency, and somehow these scores found their way onto Geekbench. TSMC has also stated that its new 7nm architecture will result in at least 20 percent better performance and up to 40 percent better power efficiency, so it is highly unlikely that these scores are unbelievable, unless of course, the device running that A12 chipset was severely underclocked and was thermal throttling during the time the benchmarks were recorded. We’ll continue to update you guys on the latest info, so stay tuned for more.